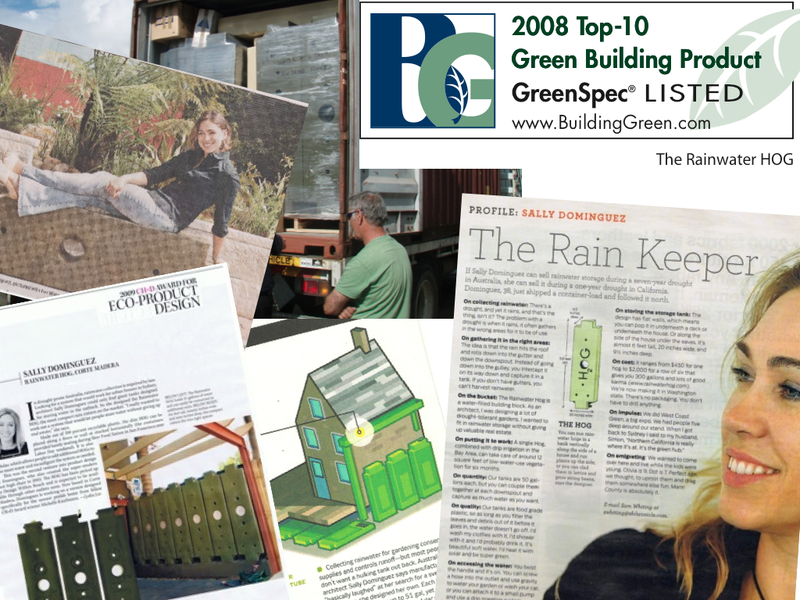 Rainwater HOG has won more sustainability and design awards than any other rainwater storage system on the world market. From Japan to Australia and the USA the modular, long-life, multi-use attributes of the HOG tank are unique. HOG designer, Founder and Creative Director Sally Dominguez holds a degree in Architecture, and has won more than 6 product awards since she began applying her lateral thinking perspective to product design. Sally lectures around the world on innovations in water reuse and rainwater catchment, and specializes in creative thinking strategies.